Thousands of California residents were displaced due to the wildfires. 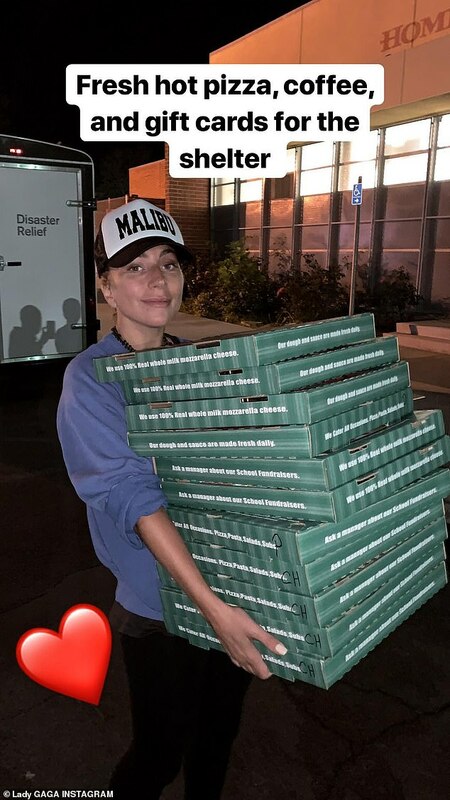 And on Tuesday, Lady Gaga delivered pizza to one of the many Red Cross evacuation centers in Los Angeles. 'Today is my favorite day of the year—it's World Kindness Day. I encourage you all to do one act of kindness even if it's for yourself,' the 32-year-old singer said on Instagram. Gaga was forced to evacuate her Malibu home on Friday when fires spread along the California coast. The NYC native took to Instagram to update fans on the status of her house, which appeared to be surrounded by dark clouds of smoke. 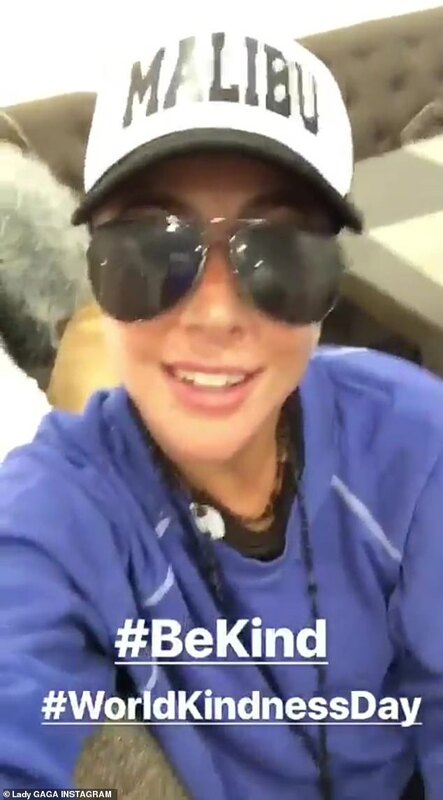 Gaga posted the video as the state-wide death toll from wildfires increased to 50 - 48 who died in the Camp Fire which torched the town of Paradise, and two who died in the Woolsey fire which burned through Malibu. 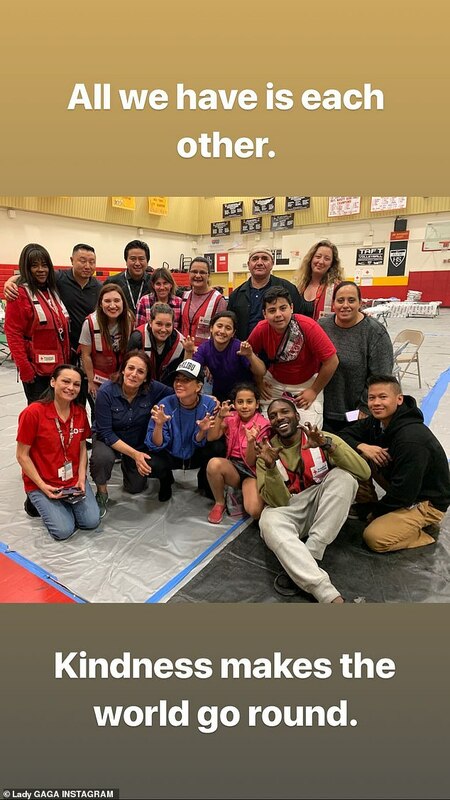 The Born This Way singer turned up at a Red Cross shelter at Pacific Palisades High School in Los Angeles on Sunday to support evacuees. The Star Is Born actress, whose real name is Stefani Germanotta, reportedly spent about 90 minutes at the shelter. 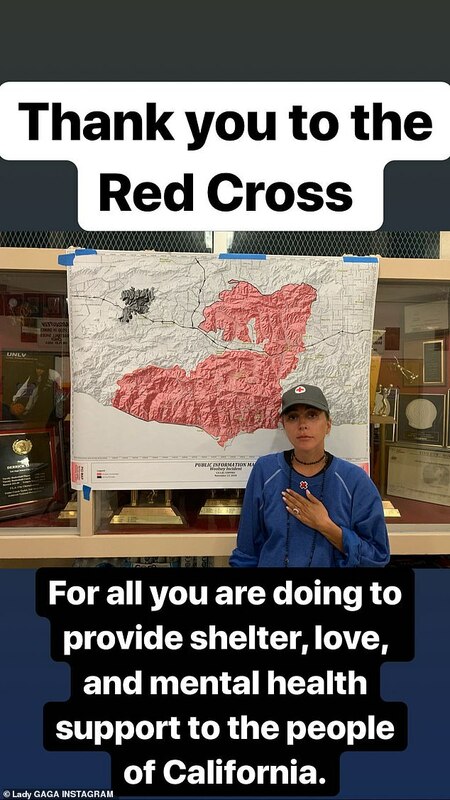 She took photos, handed out gift cards, and even sang to a 98-year-old woman who had been evacuated.